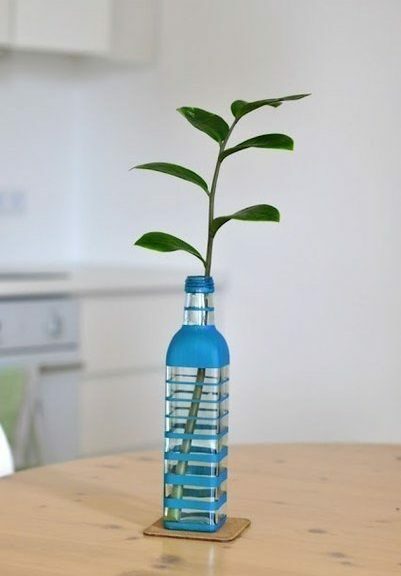 There is nowhere to put the flowers, and I do not want to run to the store? 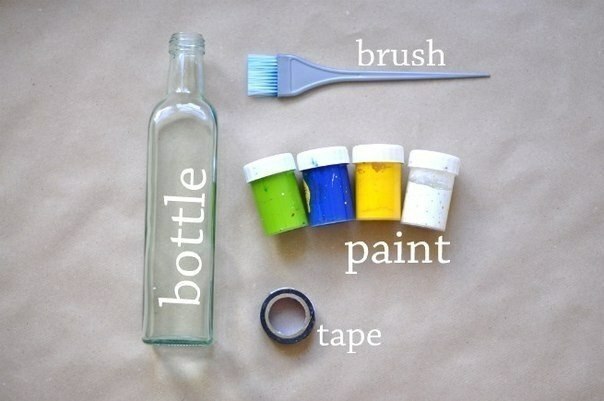 You can try to make a vase if you have a glass bottle, an insulating tape, gouache or other suitable paint. 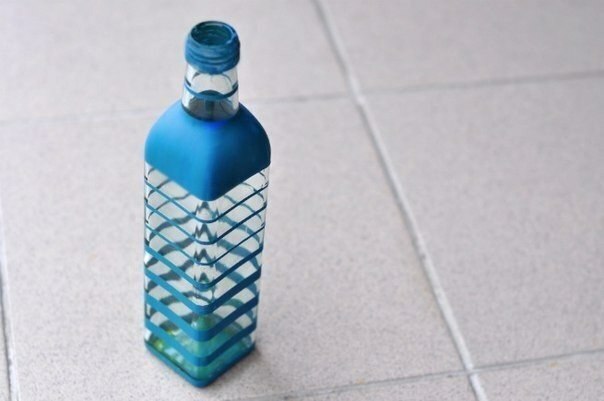 The manufacturing process is quite simple, you need to apply stripes on the bottle with stripes (the pattern will depend on the distance between the stripes), then paint the outer part of the bottle with paint. After the paint has dried, it is necessary to remove the insulation tape. 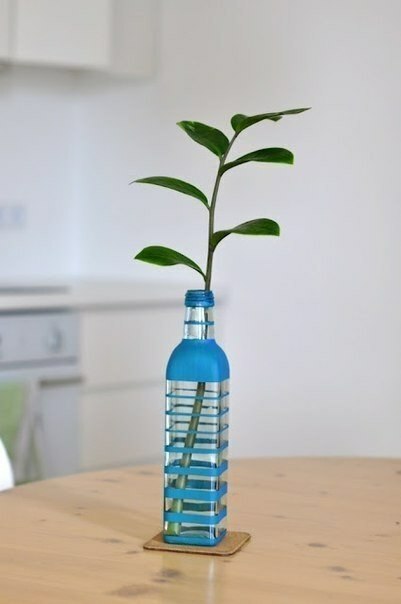 In the end we get a pretty pretty vase.